It has been a great journey we spent with these two, Ria & Ijal. It was April 23rd 2013, Ria called me to ask about our take in wedding photography. She went all serious and determined, calculating about how much she’s gonna spend to hire a photographer and videographer to cover her 2 days wedding. I talked her out about how much it cost, and she agreed to meet me in person. We then meet at Tryst Living, Kemang. I got there 1 hour earlier and she was about to eat her food. While it was the first time meeting her, it’s also our first time meeting Ijal, her beloved partner. 6 months after, with the same roof above their heads, having their hearts sacredly tied, we present you this film of their once in a lifetime wedding. Their take on wedding is personal, special and intimate. Match our style exactly. That somehow impressed us. We are so happy to become part of their big journey. 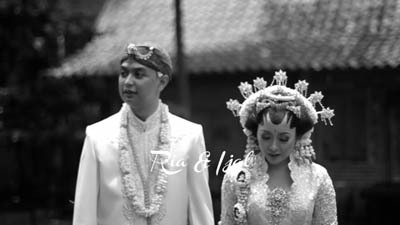 Rama Florenza and Azhar Alif as videographers of their big day, present this most intimate takes of their relationship. 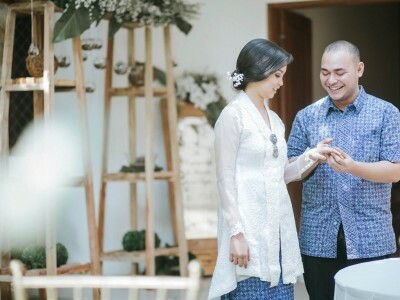 From their Siraman, Midodareni, Akad Nikah, Holy Matrimony and Reception, we compiled the fruitful moments behind what guests weren’t seeing. As our photo and video style out stands the most of todays wedding photography and videography services, we keep our journalistic, passionate, and personal way to create beautiful memories for them to watch their entire life. It is fun, it is romantic, and most of all it is how you want to reminisce your special day over. We have our hearts set for love, and love is what you’ll always remember.